Sloths might be notorious for their leisurely pace of life, but research published last year shows they are no slow coaches when it comes to evolution. Sloths, as we know and love them, are small, slow-moving creatures found in the trees of tropical rainforests. 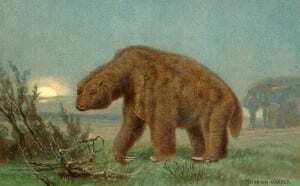 But modern sloths are pretty odd compared to their extinct relatives. Sloths (Folivora) are represented today by just six species in two families; the Megalonychidae (two-toed sloths) and the Bradypodidae (three-toed sloths). But 20,000 years ago there were perhaps as many as 50 species of sloth spread across the globe, and most were relatively large, ground-dwelling animals quite unlike modern sloths. 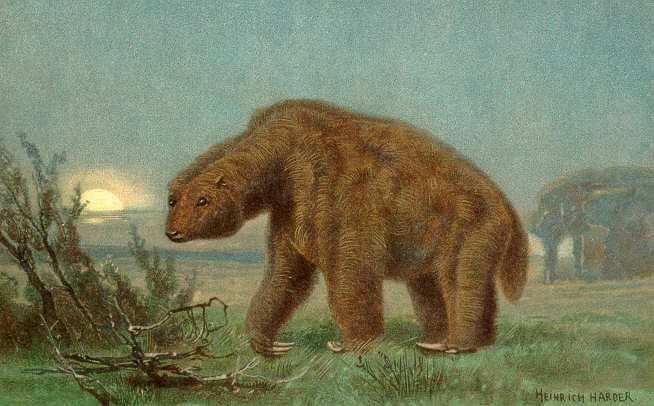 While most modern sloths weigh in at a modest 6kg, extinct species such as Megatherium americanum and Eremotherium eomigrans could weigh up to 5 tonnes!